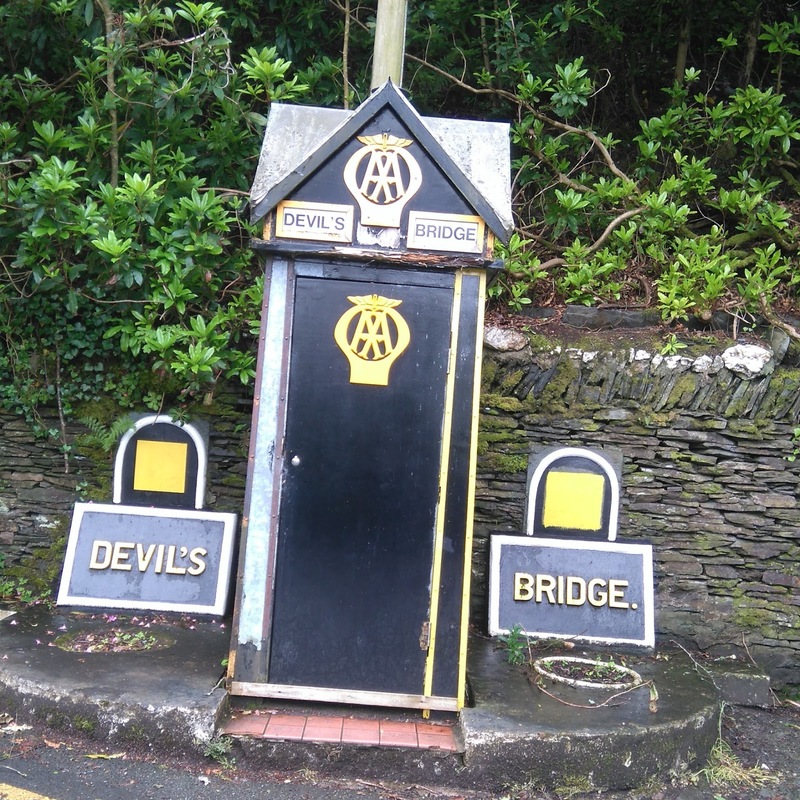 The village of Devil's Bridge (in Welsh, Pontarfynach) is not far from Aberystwyth. 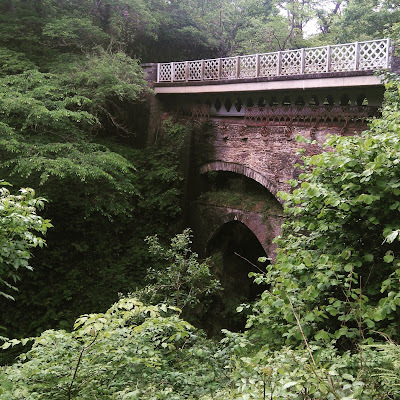 Its most significant landmark is a remarkable gorge across which stand three bridges, one built on top of the other, a visible story of a thousand years of history. 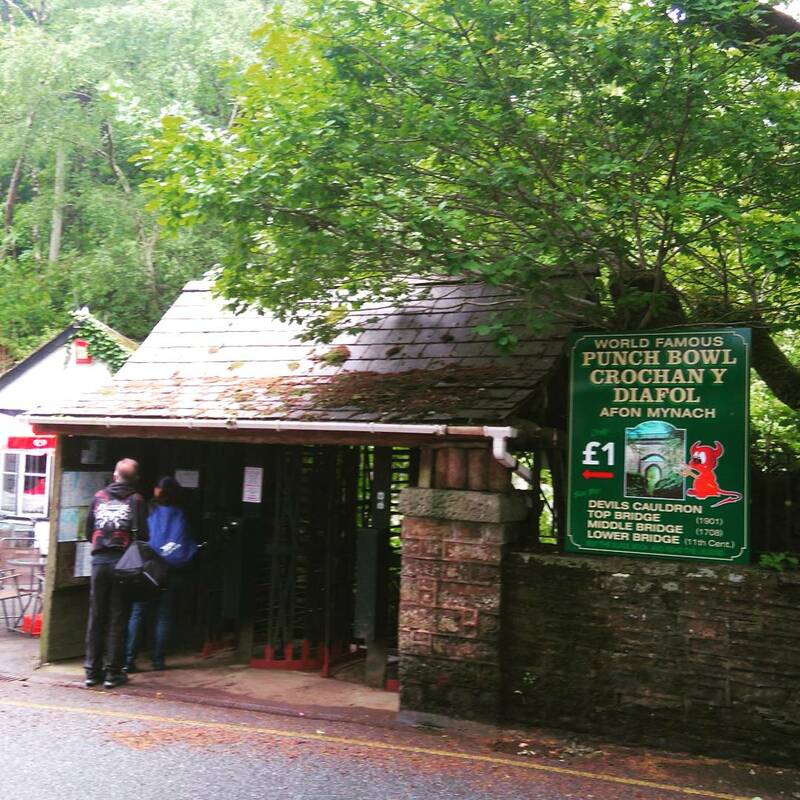 The recent TV drama Hinterland makes a great deal of use of the area. It's a dramatic place. The top bridge, the road bridge from which you go to see the gorge, dates to 1901. It sits on top of a bridge built in 1708. And that stands on a bridge that dates to the eleventh century. And that bridge? That one was built by Satan. 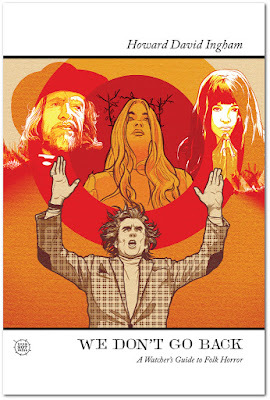 Satan came to Wales, so the story goes. In Ceredigion he found an old woman. The old woman, who lived with no company but her dog, existed, as the majority of people always have, on the edge of poverty. Her livelihood, a cow, kept somehow finding its way, as cows do, across the gorge, and it had once more and she had no way of retrieving the animal. By night, the Devil came, disguised as a monk, and asked the old woman what she most wanted. The old woman said that she'd like that bloody gorge bridged. And the Devil said, sure, tomorrow a bridge would stand across the gorge, if she agreed that he could keep the first living creature to cross the bridge. The old woman, somewhat taken aback, said, sure, and the Devil left her. The following morning, she awoke, and there, when she went outside to exercise her dog, was the bridge. And on the far side, with the cow, was the Devil himself. As she went to cross, the cunning old woman took a piece of bread from her pocket and tossed it across the bridge, and her dog went right after it. The Devil, embarrassed at having been outwitted by an old peasant woman, vanished, presumably taking the dog with him, and never returned to Wales again. This isn't the only bridge story – folklore trickster Jack o'Kent, who made a career of billing the Devil, gets a story just like this too. This bridge remained, though and the falls nearby are called the Devil's Punchbowl, and the bridge is there still with two other bridges just plonked on top of it, solid in the way that stories rarely are. Which means that, if we're assuming that the Devil did not in fact build the bridge, somewhere between the eleventh century and the Tudor period, the true provenance of the bridge was forgotten, and a story took its place. The Welsh name of the area, Pontarfynach, means "the bridge over the River Mynach", but also means "The Monk's Bridge", and the tourist information has a little picture of a monk there as it cheerfully shares that information. 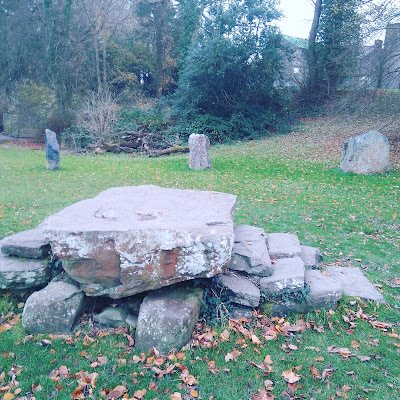 One of the friends I accompanied there suggested that it might have something to do with Strata Florida, the Cistercian abbey that lies about 14 miles to the South. But the abbey wasn't founded until the 12th century, and while it could be that the bridge is later, and built by, or for, the monks, or by predecessors who were there before Strata Florida was founded, the fact is, no one is sure. There's a bridge, it's old. The Devil built it, you say? It's as good a story as any. The character of the myth has some interesting quirks. The idea that Wales is a country the Devil will not visit, and the cunning old woman who outwits him, they're very Welsh. The trope of a divine being taking the first living thing to come features in, for example, the story of Jephthah sacrificing his daughter (Judges 11:29-40), but of course these other stories end up the other way round. It's the Devil's logic the old woman uses and the turnaround is that while the poor dog loses its soul, the old woman's is the better part of the deal. The Devil, in folklore, honours the letter of a deal, always, but the grand and learned tend not to have an easy way out – Theophilus of Adama, a despairing 6th century priest, who made a pact, needed the direct intervention of the Virgin to get him out of his fix; Faust wasn't even as lucky as that. The poor, now, always have the sneaking suspicion that for all the talk of Jesus, they're in fact ignored by God. God won't help them out. The Virgin Mary? No. There are all these stories about ordinary people becoming witches by making pacts with the Adversary, and in poverty one might reasonably consider oneself to be forgotten by God. But the Devil, he's always there for the poor. And when it's only the Devil knocking at your door, you have to be ready. 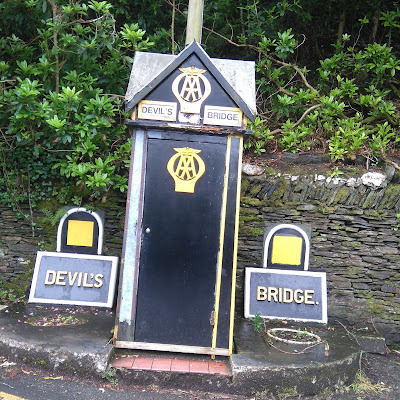 Was the old woman of Devil's Bridge pious? Was she holy? Did she rebuke him and drive him off? Nope. She made a deal. It seems she got off easy, but the fact is, she was ready for the Devil to come knocking. The poor people who have to make a deal with the Adversary often have nothing but their wits, and wits are the Devil's foil.